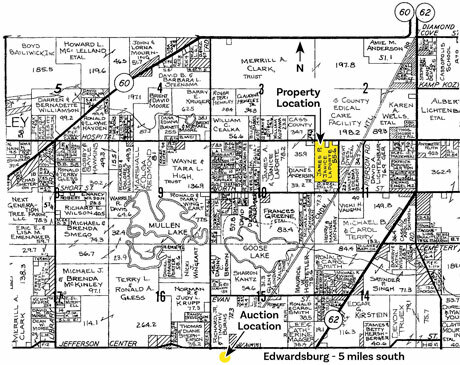 PROPERTY LOCATION: South of downtown Cassopolis, Mich. on M-62 1½ miles to Hospital St., then west ¾ mile on southwest corner of Hospital St. and North St.
AUCTION LOCATION: Jefferson Twp. Hall located south of Cassopolis, Mich. on M-62 3½ miles to Jefferson Center St., then west approx. 1 mile at 24725 Jefferson Center St., Cassopolis, MI 49031.